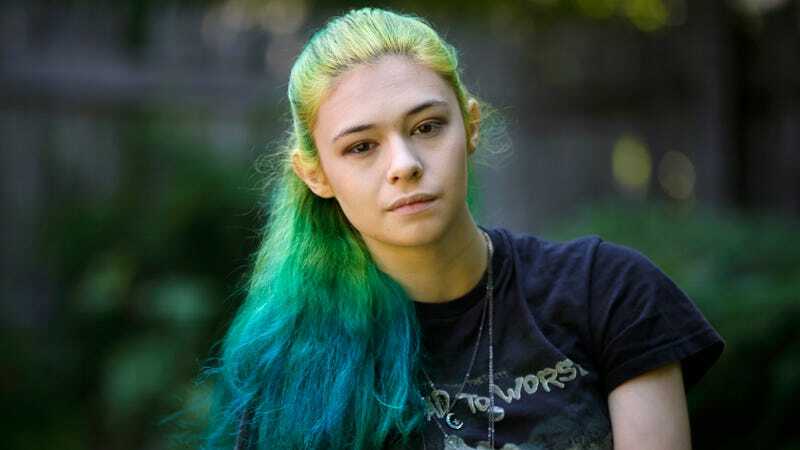 Actor Nicole Maines made headlines at San Diego Comic-Con over the weekend when it was revealed that she would play TV’s first-ever transgender superhero. Maines will take on the role of Nia Nal, the reimagined Nura Nal (Dream Girl) on the CW’s SuperGirl. In an interview with Variety, Maines was asked—and very graciously addressed—the controversy over Scarlett Johansson’s casting (and later, the decision to remove herself from the role) in the film Rub & Tug as a trans man named Dante “Tex” Gill, who was famous for operating a massage parlor and brothel in 1970s/80s Pittsburgh. Other trans actors like Transparent’s Trace Lysette have publicly taken issue with and addressed the hypocrisy of Johansson’s casting.